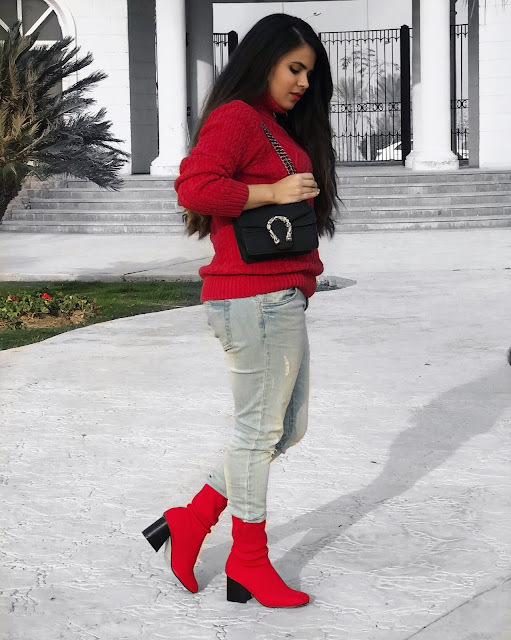 If you re looking for an outfit inspiration to wear in the not so cold weather, then keep on reading. Hello, people! Welcome back to my blog and welcome if you are new. How are you? 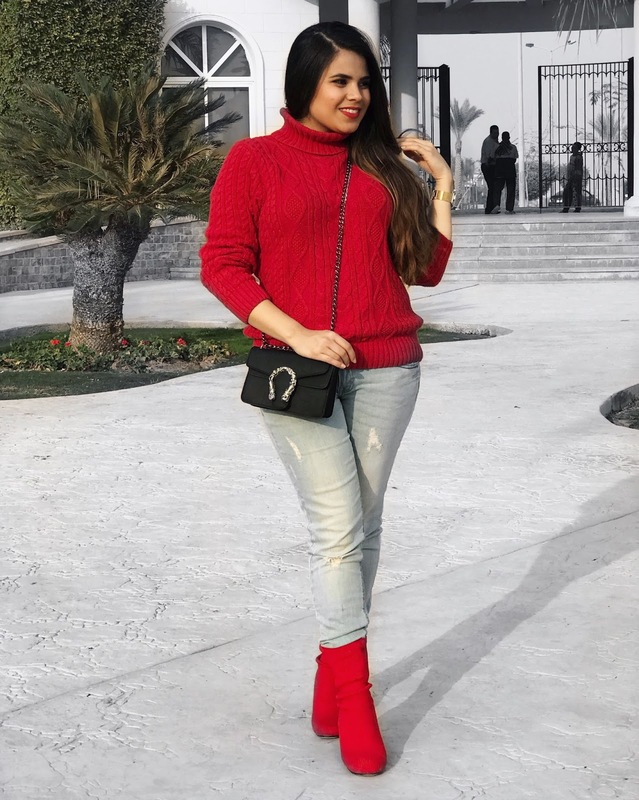 For those who are new here, I am Esraa Bassiouni, a fashion blogger, and youtuber, you can check out my YOUTUBE CHANNEL HERE, I do new Youtube videos every Monday and Friday and new posts, here on the blog every Wednesday and Thursday, and you can check out my INSTAGRAM for some daily outfits and in today’s post I wanted to share with you an outfit inspiration for the beginning of the warmer weather. I don't know about you, but here in Egypt, it is getting way warmer with each passing day and I am pretty sure, soon enough I will be wearing summer clothes, not that I am complaining, I love summer clothes more than the winter clothes. So, I thought about sharing an outfit inspiration for the warmer weather now that we are almost spring. I paired this red boots from zaful with a red jumper. 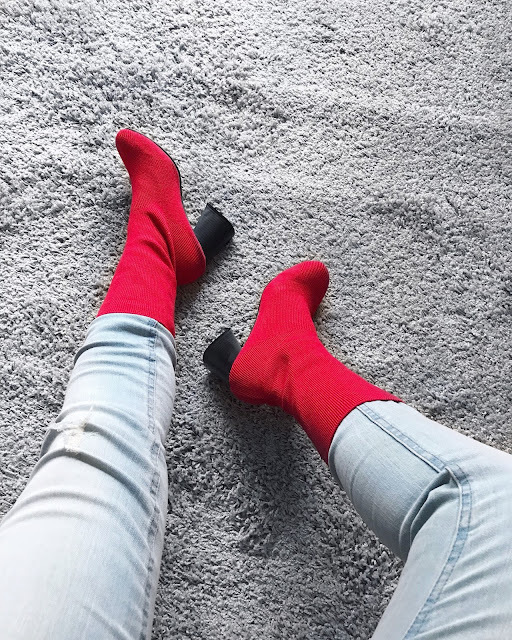 As you know red was it color for the winter and it is still going strong especially in the red boots game. Let me tell you that I was kinda hesitant to buy the socket boots, especially in red. 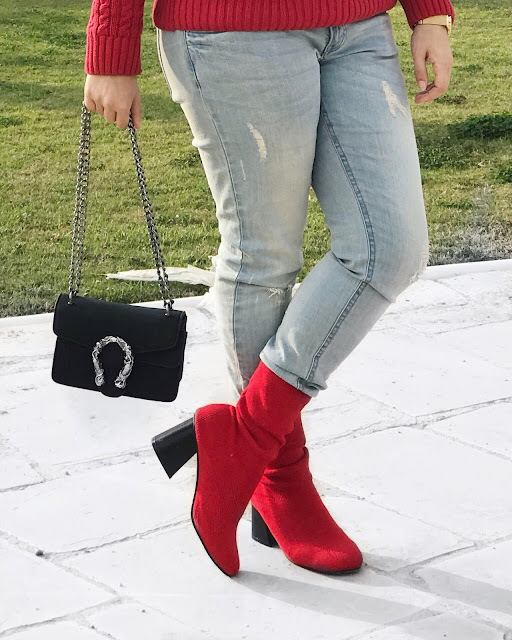 Even though I love red so much and it is my favorite color, wearing red boots is so bold, even for me. But as you can see, I nailed it and it looked so cool, so I am so happy. "NO MATTER HOW FAR YOU HAVE GONE IN THE WRONG DIRECTION. THERE IS ALWAYS A CHANCE TO TURN YOUR LIFE AROUND." Cute! Love the transition outfit! Nice boots! 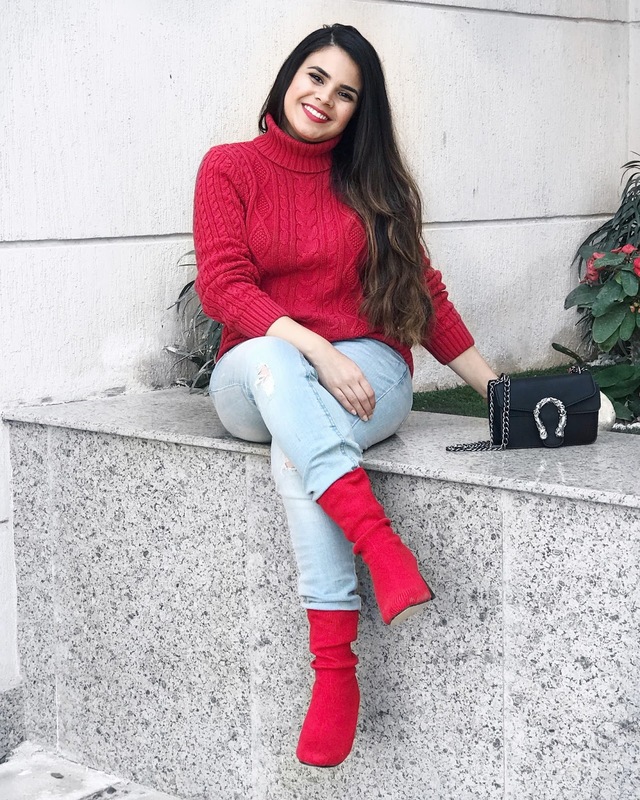 Love red color! Oh my! This is absolutely one romantic outfit! Love the color of this look and that sweater looks so cozy. You rocked this look hun!